What if you could think out of the box and take your life to whole new level? Many of us settle for an average, "normal" life inside of our comfort zone. True adventure, excitement, and deeper fulfillment lie just outside of that zone, but often we are too afraid to take that first step that would change our lives. 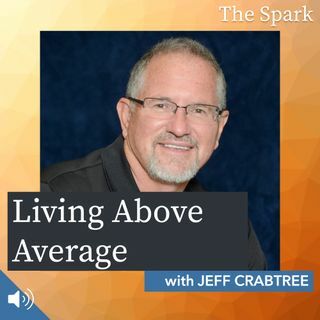 Life coach and motivational speaker Jeff Crabtree has dedicated his career to helping people take those steps to transcend their ordinary lives to extraordinary lives ... See More where they are living above average. Join us for an episode of inspiration and effective tools to take your life to the next level!